Just FYI...my hubby has CNN or FOX News running all day long. Not much of a TV watcher myself, but I can hear it droning on with what seems like nothing but bad news. We need a lot more Kindness in the World!!! Playing today in the Simon Says Stamp Flickr Challenge where we were to use a stencil on our project. 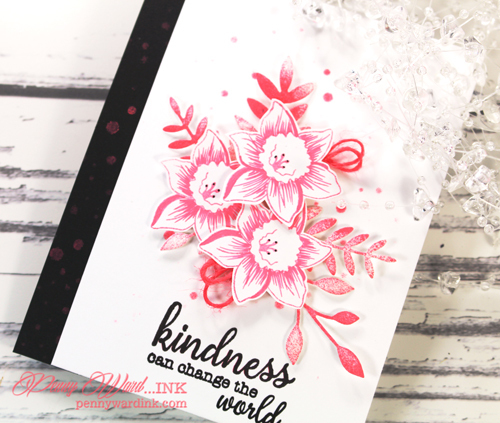 Using the SSS Falling Snow stencil with some Radiant Neon Coral ink. 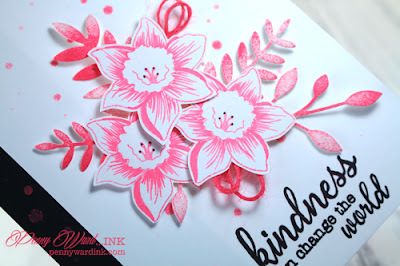 I stamped the flowers with the same ink, then colored them in a bit with a Gelly Roll pen. The leaves are a die cut, then I pounced the ink pad on top so they got a little ink, but not completely covered. You swirl it through ink that has been smooshed on a craft mat with a tad of water added. 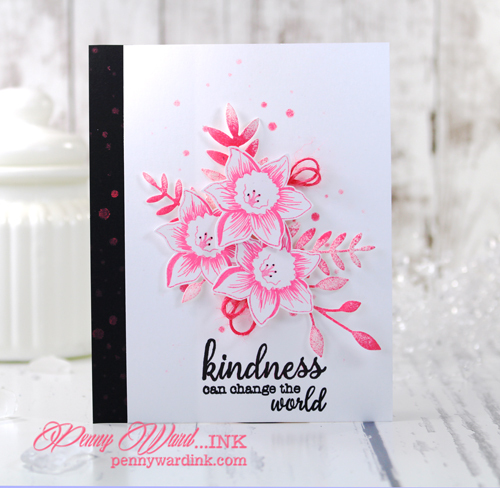 Sentiment was stamped with Onyx Black ink.